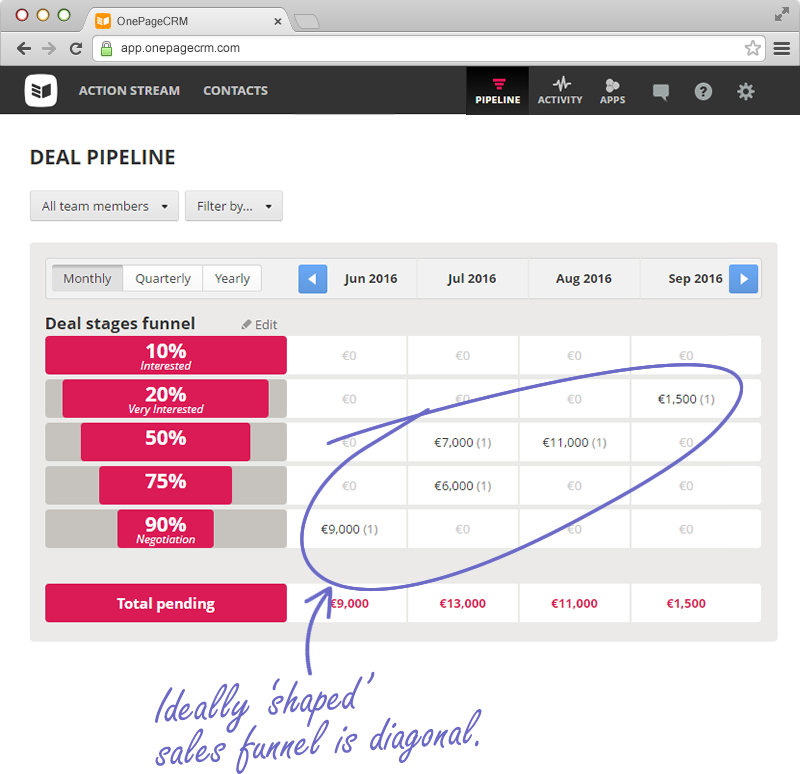 Your Pipeline is a core sales forecasting tool and gives you a clear view of your expected revenue for the future. We’ve created an interactive pipeline that gives you a unique view of your sales, helping you Predict, Motivate and Close more deals than ever before. Now you have the option to select from two different views in the pipeline: Kanban view and Forecast view. 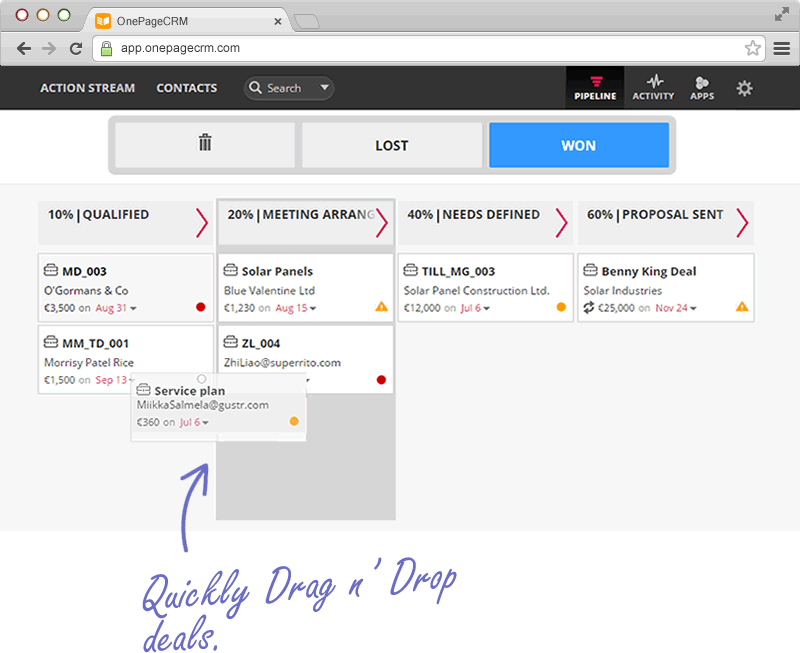 Use Kanban view to prioritize and monitor your active deals and move deals faster through your Pipeline stages! deals have a lower probability (see Sep above).